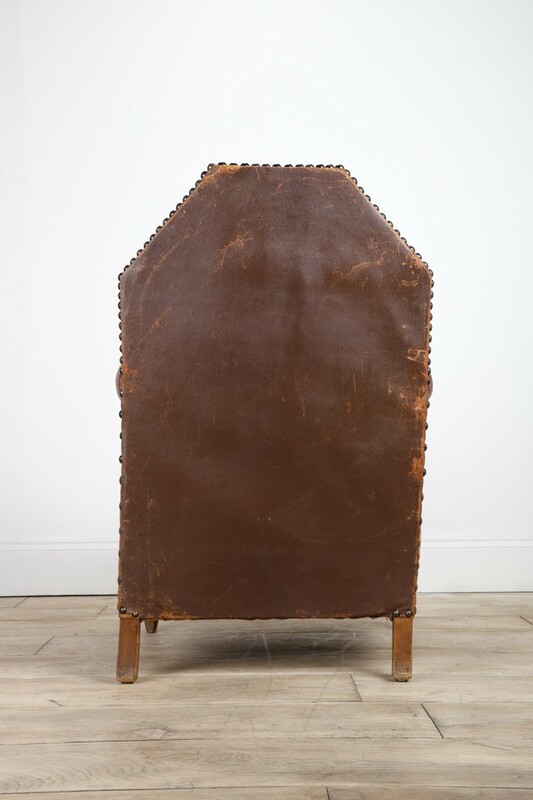 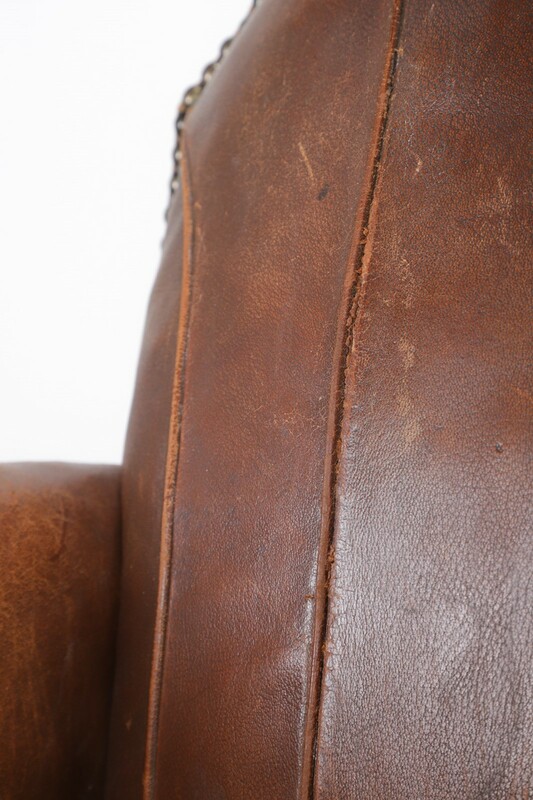 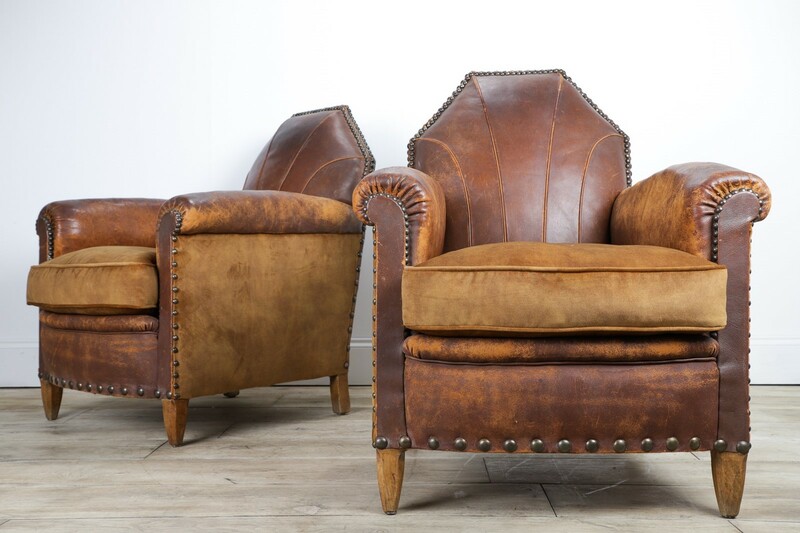 An extremely rare pair of antique Art Deco leather club chairs. 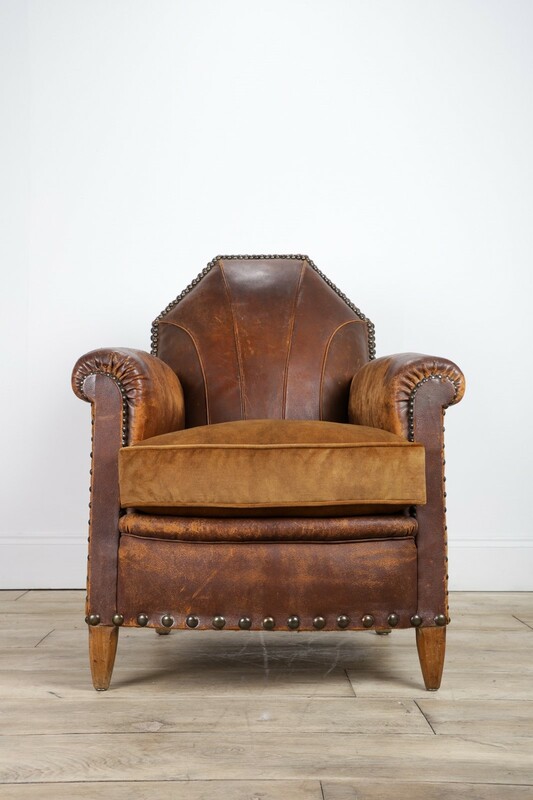 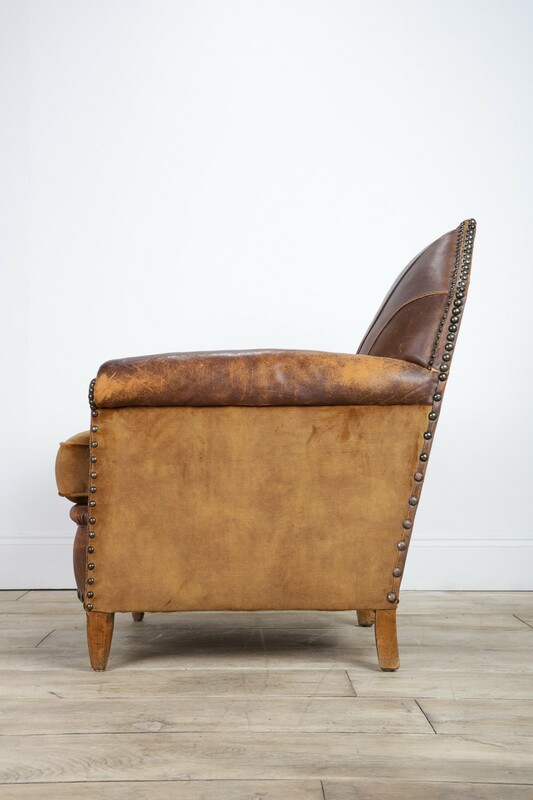 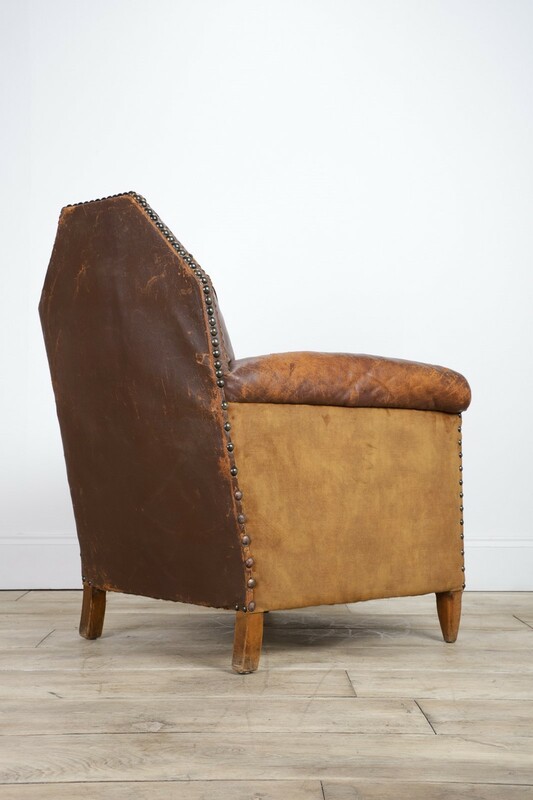 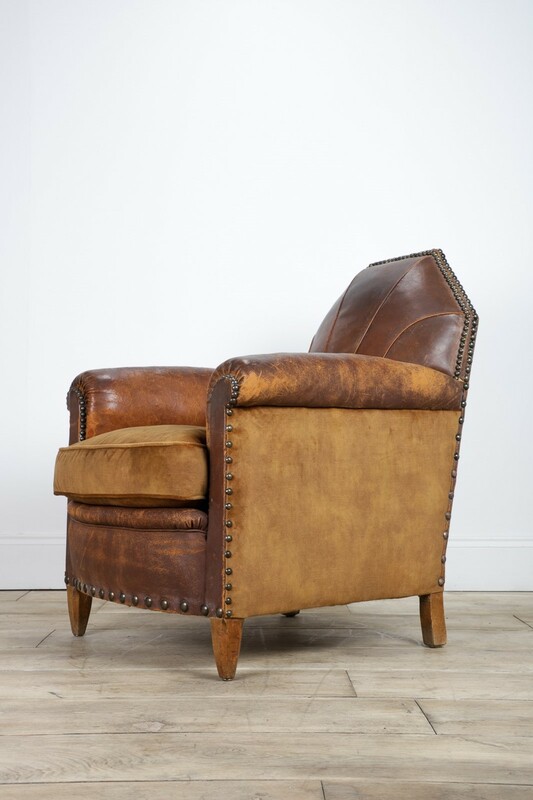 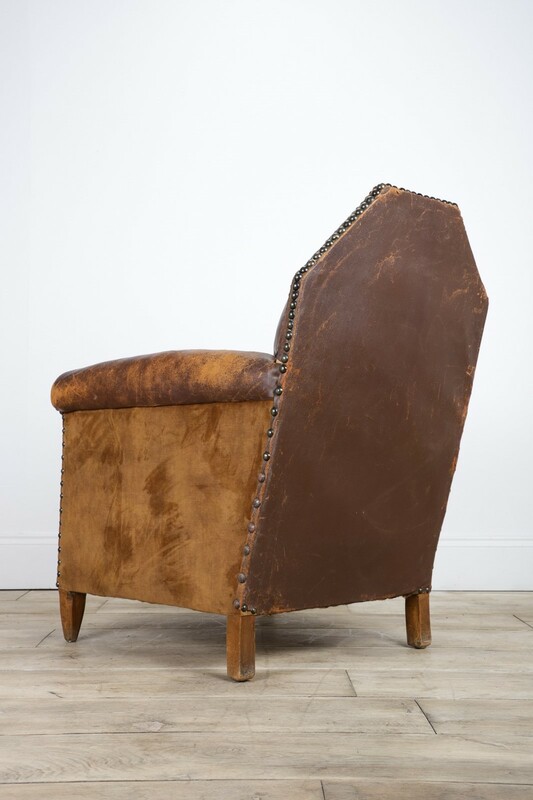 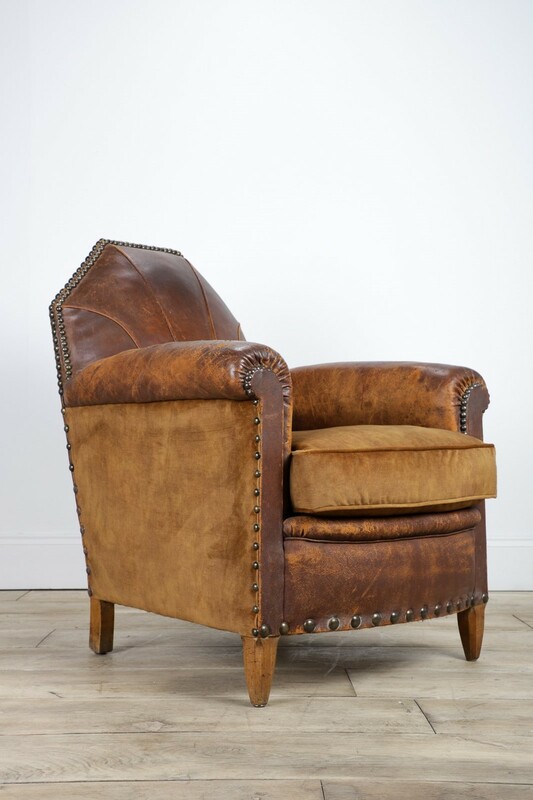 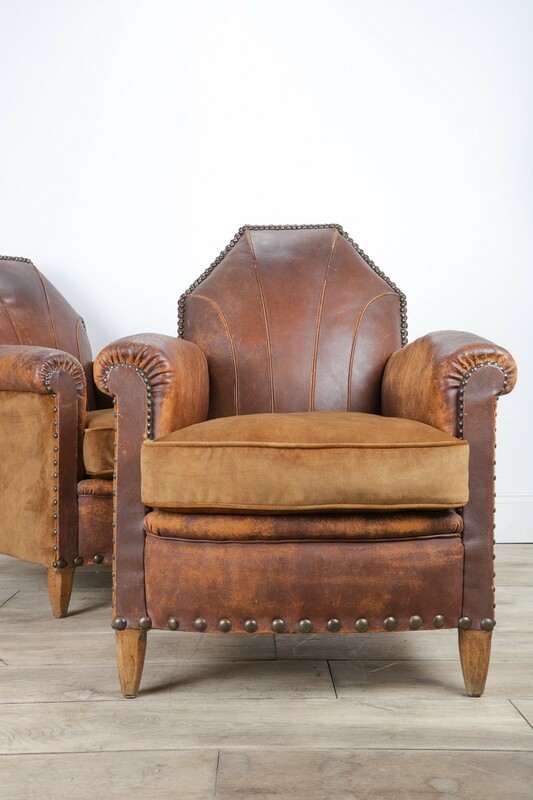 A simply stunning pair of deep leather armchairs chairs with intricate studding & seam detailing typical of their Art Deco era. 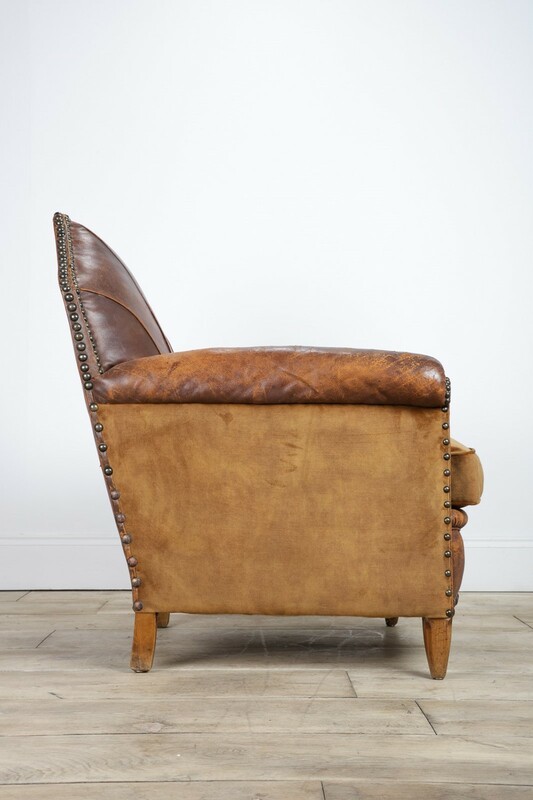 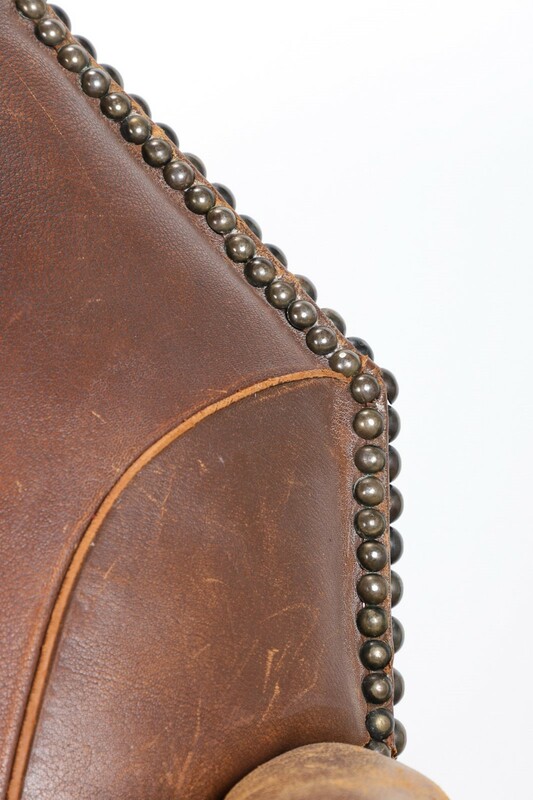 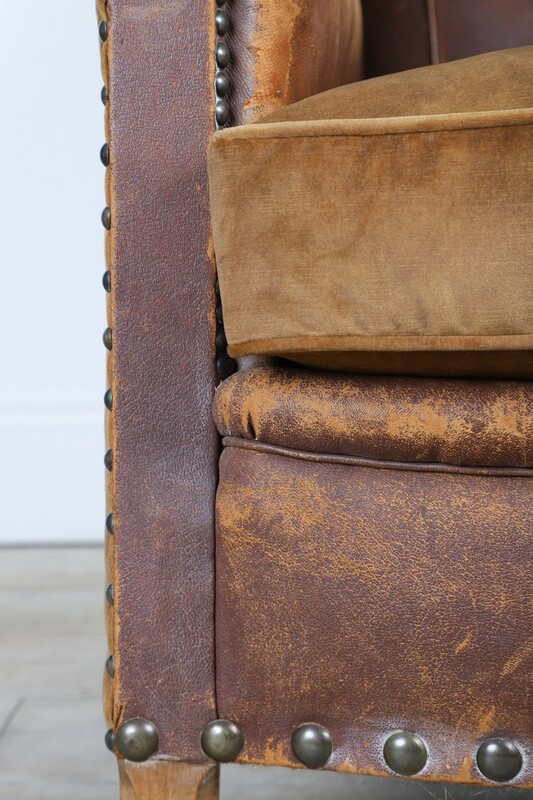 The beautiful age of the leather is complimented with the fabric sides & seat. 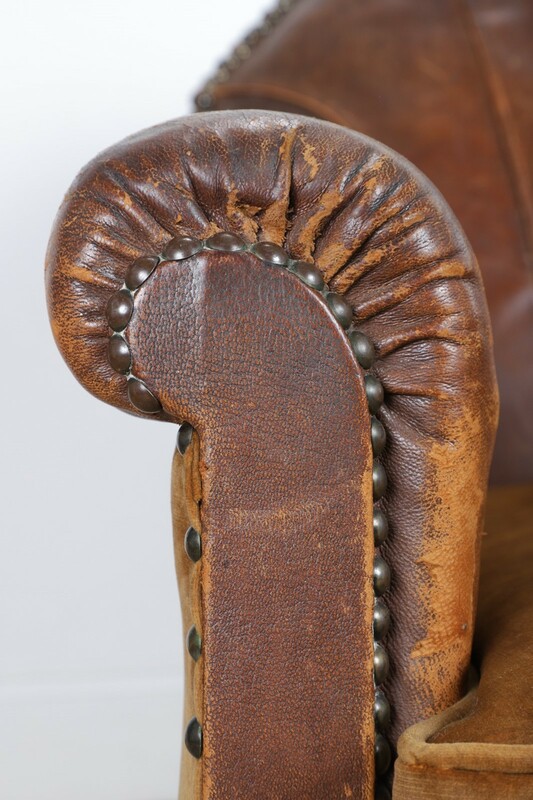 Both chairs have been professionally re-upholstered to an extremely high standard with the addition of a new feather seat cushion & having been re webbing. 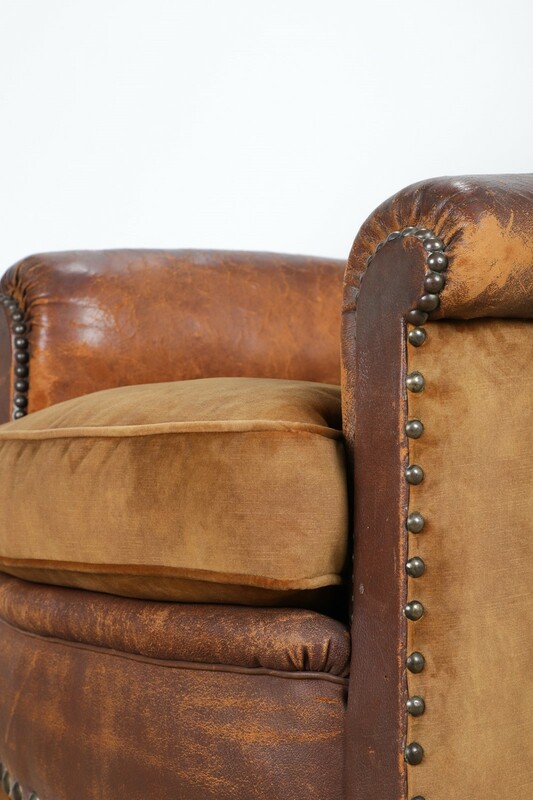 Out of all the chairs we’ve had these have to be the most outstanding.